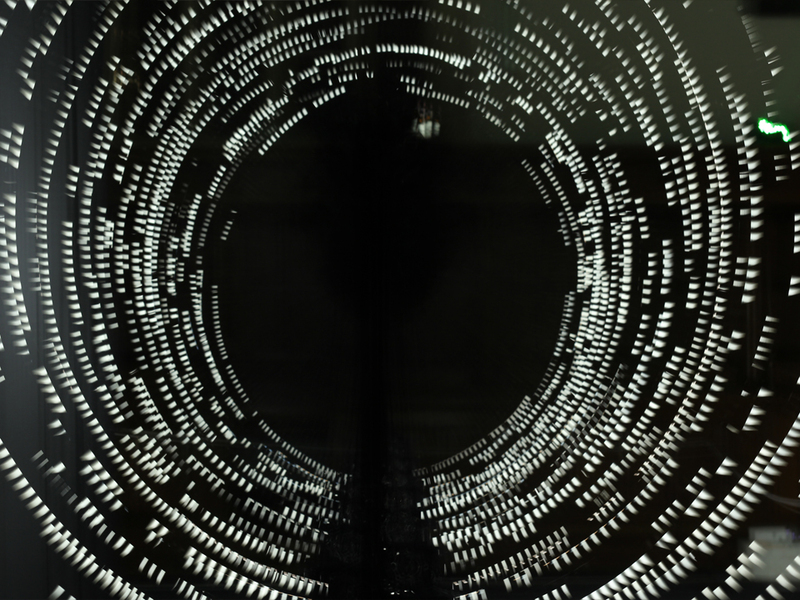 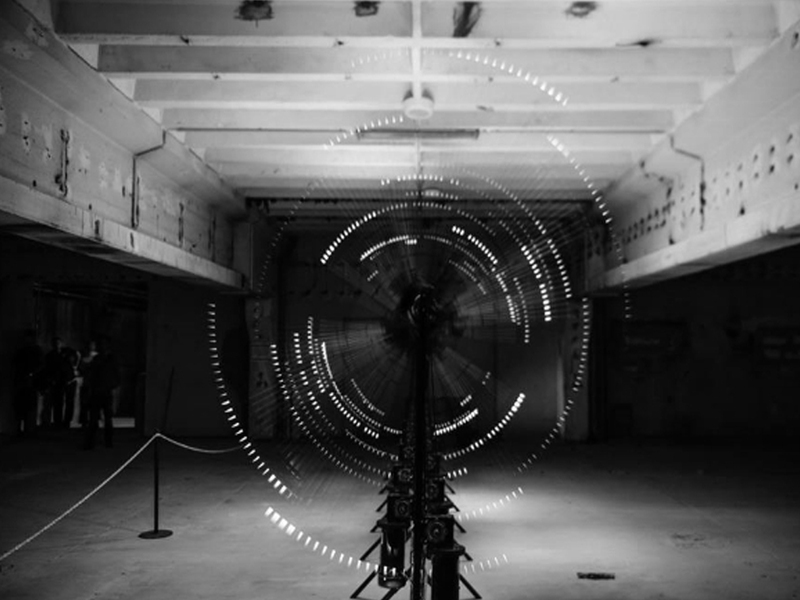 PARSEC is a kinetic audio visual machine consisting of 16 identical arms performing a generative composition based on swarm synthesis. 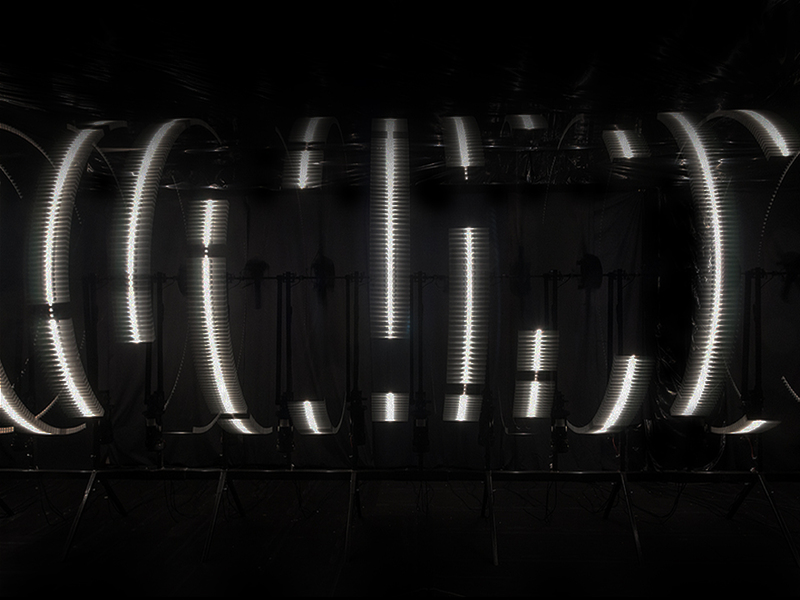 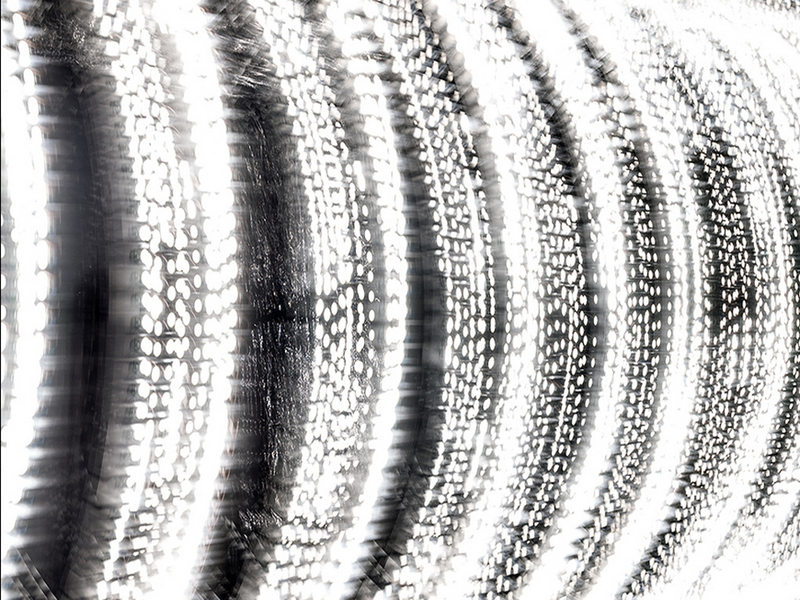 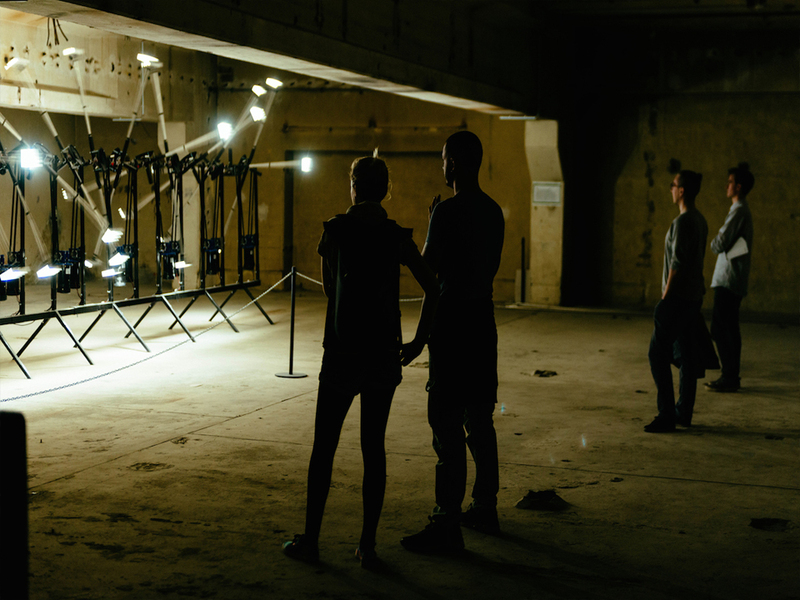 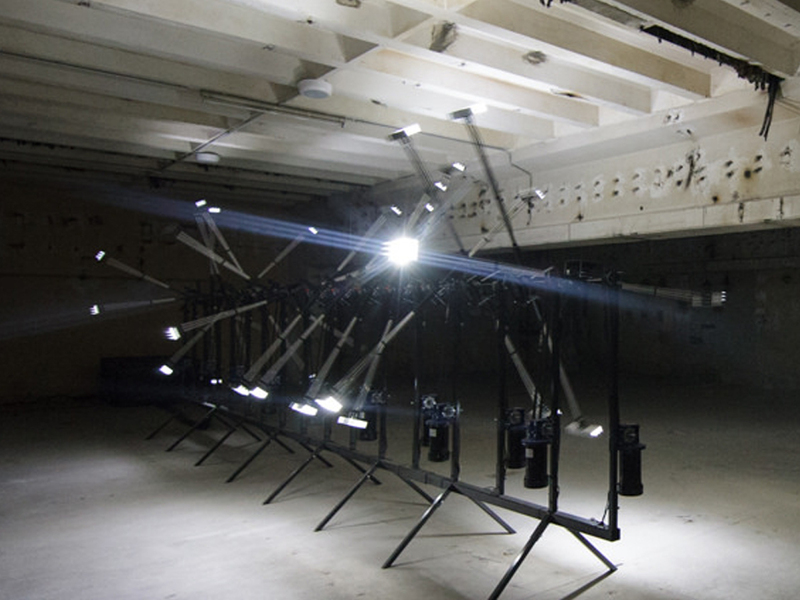 Each arm holds two LEDs and a loudspeaker which will create abstract audio visual patterns while being rotated. 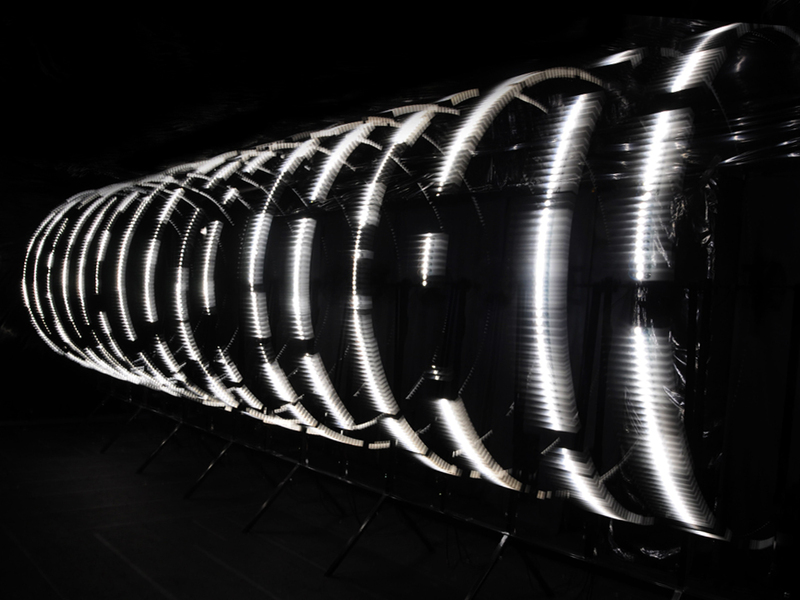 The core of the installation consists of a swarm synthesizer, 16 identical analogue and modular synthesizers. 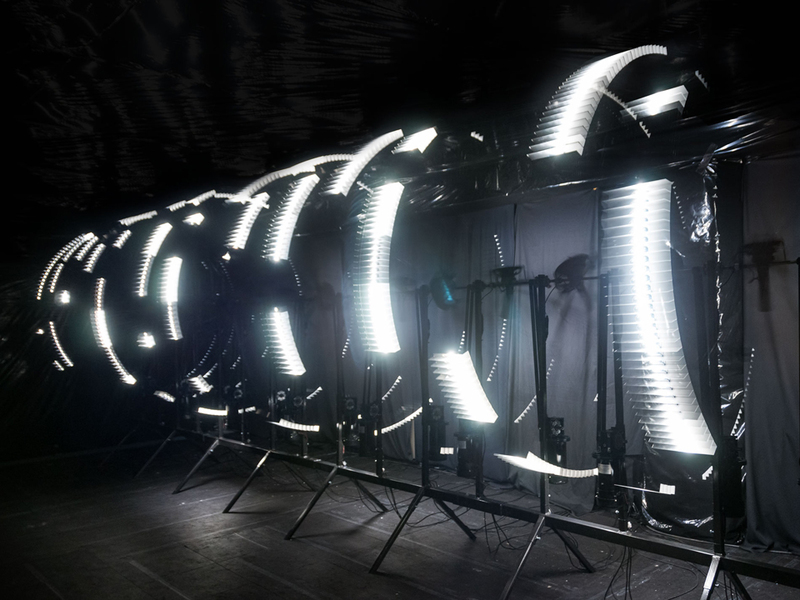 The synths are programmed to perform swarm like behavior which can also be recognized in the movement and light patterns.